The Good Guys just got better! As a member you can now get exclusive access to a new online shopping site with The Good Guys Commercial. You will be able to see live discounted pricing on the entire The Good Guys range – that’s great deals on over 4,000 products! And you will be able to make your purchases online – saving you time and money. You must first register to access The Good Guys Commercial. 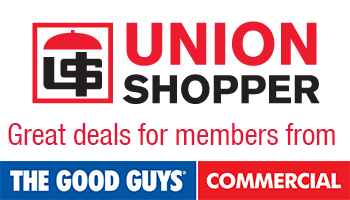 Call Union Shopper, who will process your registration, and you will receive a confirmation email from The Good Guys Commercial. You will then be able to gain access to the site.